Dig out your old teddy bears, dolls and Star Wars figures - they could be worth a fortune. 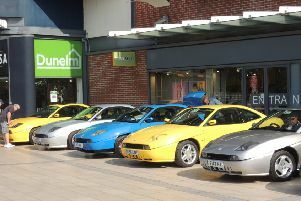 And you can find out just how much at a special event in Horsham on Saturday. Auctioneers Toovey’s are holding a special toy valuation event at Horsham Museum & Art Gallery in Horsham’s Causeway from 10am to 12 noon. Specialist toy valuer Christopher Gale will be on hand to provide free auction valuations and advice on your toy trains, cars, Star Wars action figures, models, teddy bears, dolls and collectors’ toys. Toovey’s next specialist toy sale will be held on March 19 at its auction site in Washington, off the A24.